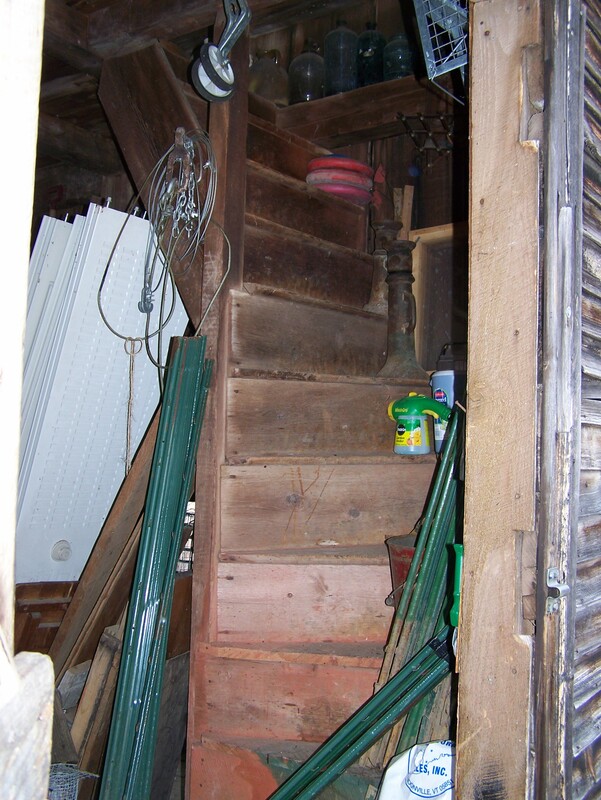 Can you help me save this old barn from Ira Vermont? 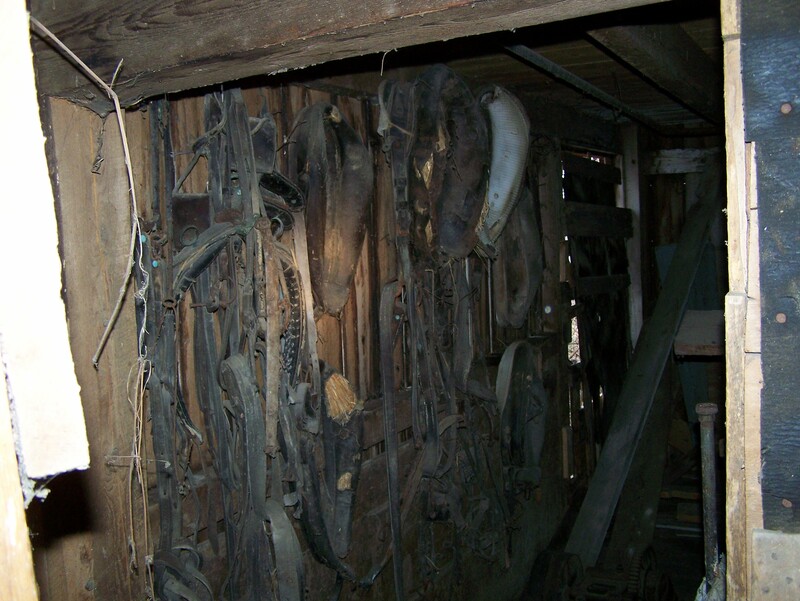 In 1959, a Vermont farmer hung up the horse harnesses for the last time. One last time, he must have closed this barn door, never to go back in. In 2013, his son decided it was time for the old barn to find a new owner – and a new beginning. And he contacted me. 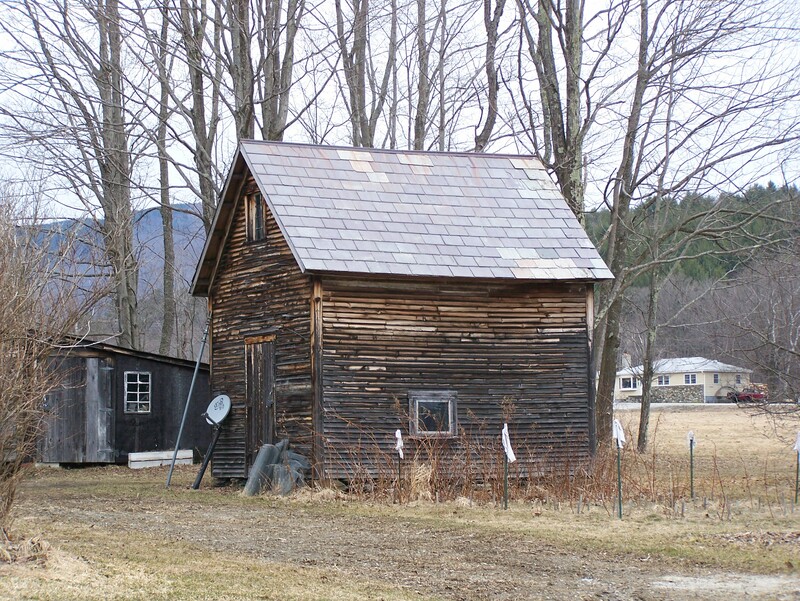 The town of Ira, Vermont is named after Ira Allen, brother of the famous Ethan Allen, who captured Fort Ticonderoga in 1775, with the Green Mountain Boys. 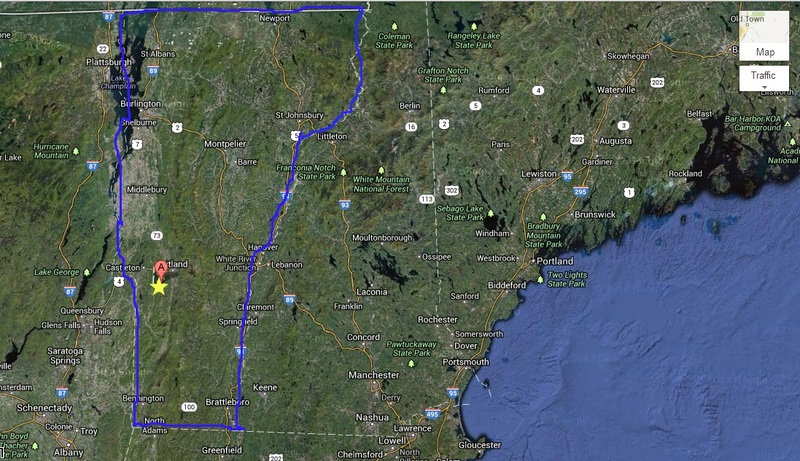 Ira is located just north of my hometown Middletown Springs, Vermont. 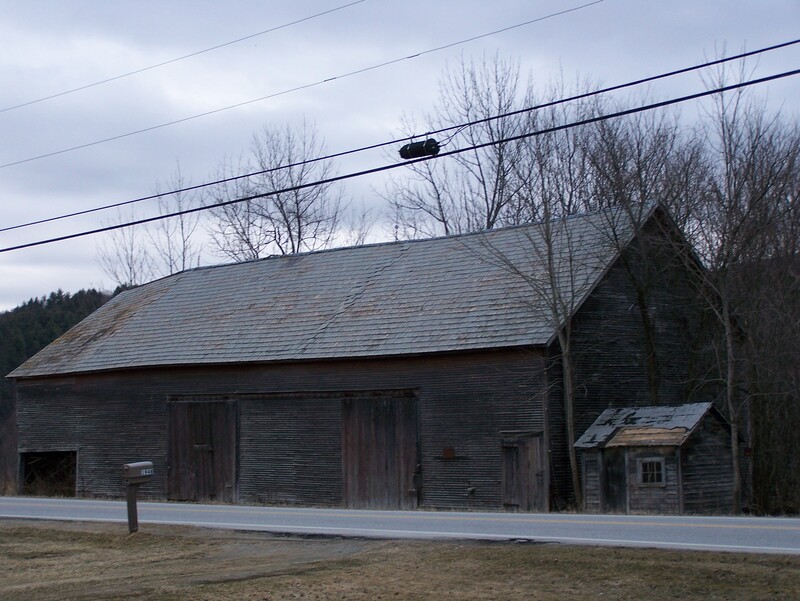 And this old post and beam barn was built back when the Allen brothers were roaming our area. Further additions were added in the late 1800’s to increase the size of this old timber frame barn to 32 feet wide by 87 feet long. I’ve driven past this barn for 40 years and never knew its story. It is an honor when I get the opportunity to learn about a barn that is right here in my proverbial backyard. I checked out this big, beautiful barn last month. 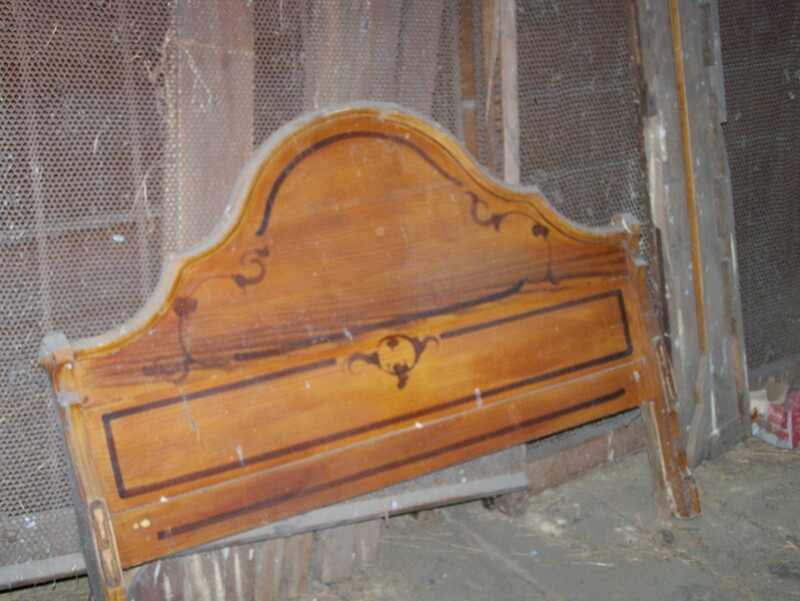 It’s a special frame and I would love to help out the family and find it a new owner as quickly as possible. I’ve reached out to some former clients and am asking for your help too. The original barn is a 32’x40’ hand hewn, modified gunstock frame with hardwood timbers and lovely wide plank siding and roof boards. With the modifications done to this historic property in the 19th century, it’s much larger. The original slate roof alone is worth 10 grand and is in great condition. A real historic gold mine. 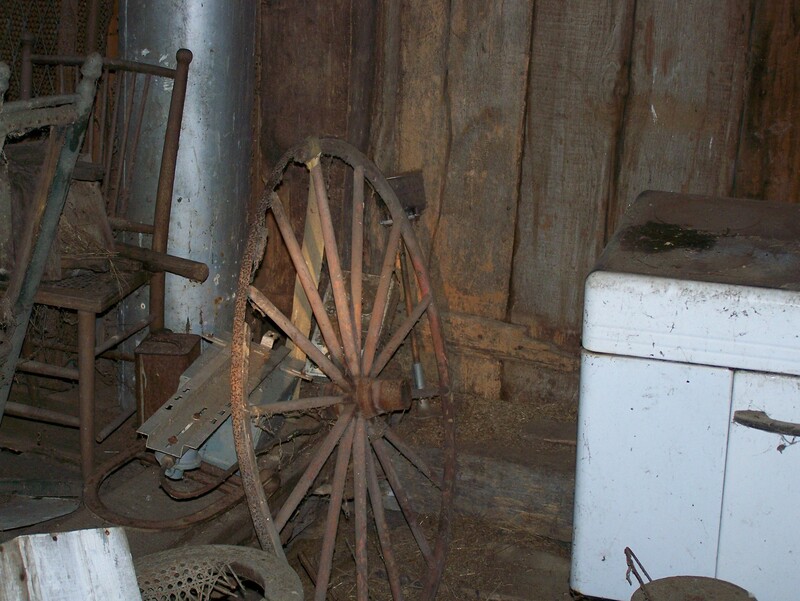 What is interesting about this barn is that it is still full of treasures from the past. Below are some pictures of what I found inside. When the seasoned farmer walked out in 1959, he left so much behind and much of it is well preserved. There are several horse drawn equipment pieces. Planters, cultivators, harness equipment, hay conveyor, etc. The pieces may fit well with local museums showcasing the horse powered era. And check out this adorable corn crib that’s right out back of this barn! Folks can contact me if they are interested. I’m trying to sell for the owner. I can’t buy it at this time but want to help the son find a new owner. This entry was posted in Frames in stock, Green Mountain Timber Frames, Post and Beam and tagged American heritage, available barn frames, barn for sale, barn restoration, corn crib, Green Mountain Timber Frames, gunstock frame, gunstock timber frame, historic properties, historical barn, historical horse equipment, horse equipment, Ira, old barns, Post and Beam, Rural Vermont, vermont timberframe, VT by Green Mountain Timber Frames. Bookmark the permalink.